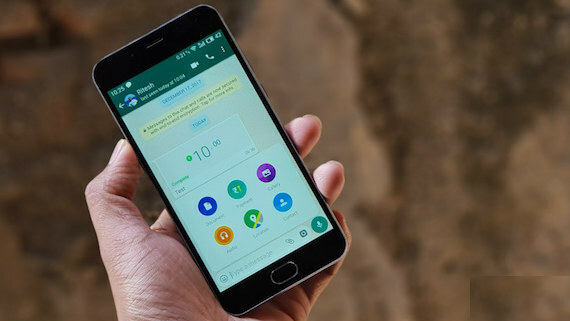 Chandigarh: Instant messaging app WhatsApp chief Chris Daniels has written to the Reserve Bank of India seeking a formal nod to expand payments services to all its 200 million users in Indian sub-continent. The messaging giant continues to wait for a regulatory clearance to launch full-fledged payments operations in India — months after its “testing” amassed nearly one million users, and almost two years since it first began discussions with the government on its payments services plans. The development comes at a time when competitors such as Google have forged ahead with their payments offerings. WhatsApp is currently piloting WhatsApp payments, and its chief has now written to the RBI urging that a formal approval be granted to take the payments product to all its users in the country. “I write to request your formal approval to immediately expand WhatsApp’s BHIM UPI (Unified Payments Interface) compliant payments product to all users in India, giving us the opportunity to offer a useful and secure service that can improve the lives of Indian people through digital empowerment and financial inclusion,” Daniels said in the letter addressed to the RBI Governor. The November 5 letter mentions that WhatsApp’s partner banks have also submitted a request for formal approval. A WhatsApp spokesperson said the platform was working closely with the Indian Government, National Payments Corporation of India (NPCI) and multiple banks, including payment service providers, to expand the feature to more people and support the country’s digital economy. “Today, almost 1 million people are testing WhatsApp payments in India. The feedback has been very positive, and people enjoy the convenience of sending money as simply and securely as sending messages,” a report in The Tribune quotes WhatsApp spokesperson.